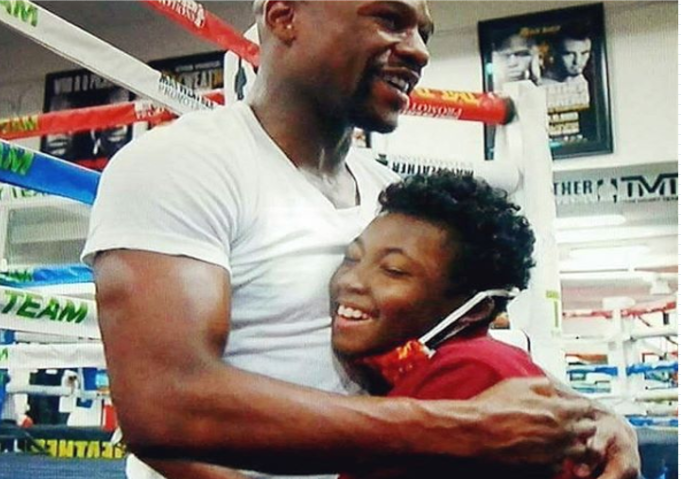 Floyd Mayweather helped a dying boy achieved his last remaining wish. Taylor Hammond was terminally ill but was full of life, energy, and enthusiasm. He battled Leukemia for the better half of his time with repeated recurrence, the last being terminal, however, the young energetic boy did not let his reality steal his joy, he instead set out the things he wishes to do before his time was up, he called it “life list” instead of “bucket list”. One of it was to meet the boxer, Floyd Mayweather. The boxer took time out to meet with the little man, although Taylor has achieved some other of his wishes like meeting the USC football team, his encounter with Mayweather appears to be the highlight of them all. Mayweather paid tribute to Taylor on his Instagram yesterday and refer to him as Champion.